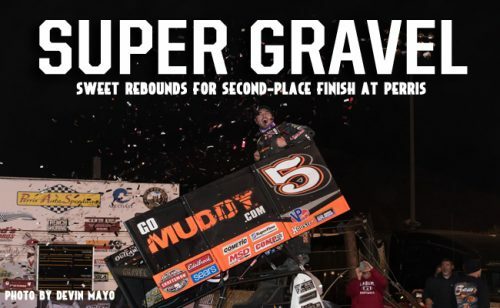 PERRIS, CA – April 1, 2017 – David Gravel was the driver to beat at Perris Auto Speedway for the SoCal Showdown bringing an end the spring California swing. As the track rubbered-up, Gravel was in the ideal position, out front. Running mainly the high-lane around the half-mile oval, Gravel was able to pull away on multiple restarts to take home his third World of Outlaws Craftsman Sprint Car Series victory of the season. A top-five qualifying effort, a heat-race win, and a second in the Craftsman Club Dash, allowed for Gravel to start on the front row of tonight’s 30-lap Feature. The driver that started the SoCal Showdown from the pole was California-native, Brad Sweet. With Gravel checking-out on the initial start, Sweet had his hands full fending off the rookie-of-the-year contender, Sheldon Haudenschild for the second position. A red flag was displayed on Lap 10 when the No. 2x of Parker Price-Miller went for a tumble in Turn 2; Price-Miller walked away unscathed. The battle between Haudenschild and Sweet continued with sporadic challenges from series points leader, Donny Schatz and Friday night’s runner-up Ian Madsen. Coming off a last-place finish the night before, the No. 49 Kasey Kahne Racing team was able to rebound for a second-place finish to round out the California trip. The young-gun, Sheldon Haudenschild who has been consistent the last couple of weeks brought home a podium finish for the second time this season. 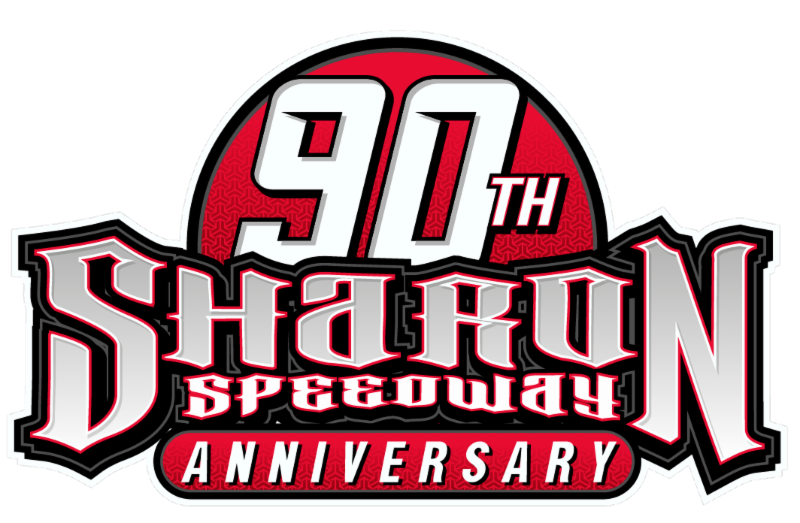 The World of Outlaws Craftsman Sprint Car Series will be back in action next Friday, April 7 when they make their first visit to Cocopah Speedway in Somerton, AZ. The following night, the Outlaws will head east to Arizona Speedway for their second trip. Tickets for these events can be purchased on dirtcar.ticketforce.com or by calling 844-DIRT-TIX. SEASON WINNERS: Donny Schatz – 6 (Volusia Speedway Park on Feb. 19, Volusia Speedway Park on Feb. 19, LoneStar Speedway on March 3, The Dirt Track at Las Vegas Motor Speedway on March 9, The Dirt Track at Las Vegas on March 10, Thunderbowl Raceway on March 18 ); David Gravel – 3 (Thunderbowl Raceway on March 17, Placerville Speedway on March 29, Perris Auto Speedway on April 1); Jason Johnson – 1 (Volusia Speedway Park on Feb. 17); Brad Sweet – 1 (Stockton Dirt Track on March 25), Logan Schuchart – 1 (Keller Auto Speedway). CONTINGENCY WINNERS – MSD Ignitions ($25 cash): Parker Price-Miller; MSD Ignitions ($50 cash): David Gravel; Penske Shocks ($50 cash): Donny Schatz; JE Pistons ($50 cash): Paul McMahan; VP Racing Fuels ($50 cash): Jason Sides; Edelbrock ($50 cash): Greg Wilson; Comp Cams ($50 cash): Greg Wilson; Cometic Gasket ($50 cash): Logan Schuchart; Super Flow ($50 cash): Brent Marks; Craftsman Club ($100 cash each): Brad Sweet, David Gravel, Jason Sides, Sheldon Haudensheld, Shane Stewart; Craftsman/Sears ($100 cash): N/A; KSE Racing Products ($100 product certificate): Greg Wilson; Comp Cams ($50 product certificate): David Gravel; JE Pistons (Set of Rings each): Kraig Kinser, Randy Waitman.